Footscray bar Mr West has a bottle shop. There are a handful of tables in the sparsely decorated shop, with more to come as the space evolves. 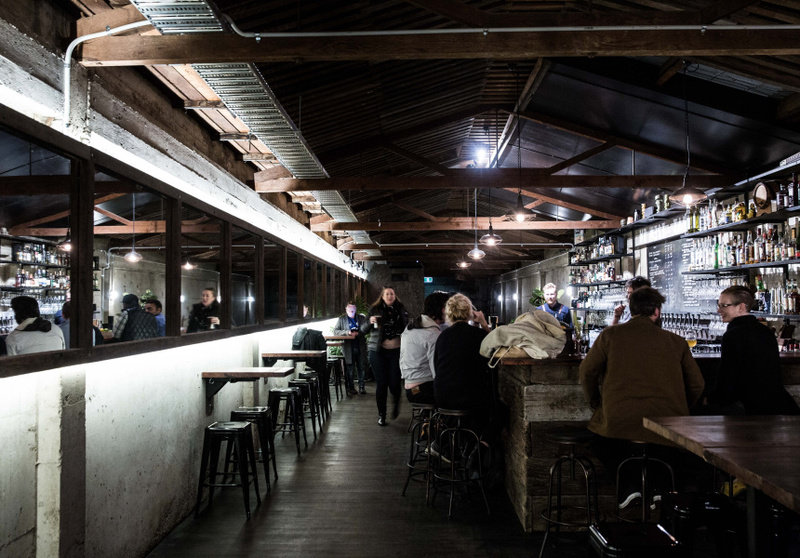 The upcycled industrial vibe from the bar upstairs carries through here, with dark natural wood and concrete floors. You can drink in (and upstairs), with corkage added to the shelf price. The bar owners are natural wine lovers but the list is accessible to everyone; there’s some weirder, funky skin-ferment wild stuff, but also some smashable sauvignon blanc for $15. 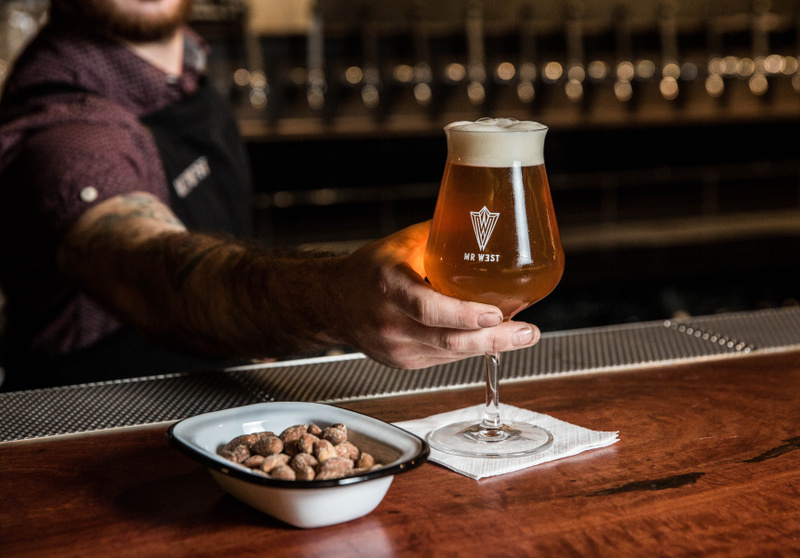 The same goes upstairs where there are “weird” and expensive things on tap, but if you just want an easy-drinking lager that’s cheap, this bar has that too. 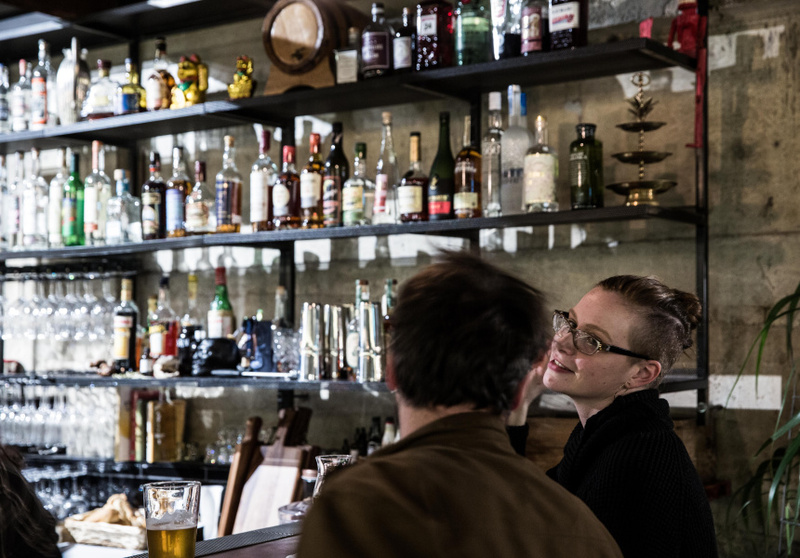 On top of all that, there’s a solid range of local and esoteric international spirits, including a roasted-pineapple gin from Jamaica, and a mushroom rum from Mexico. This article was updated on January 29, 2018.